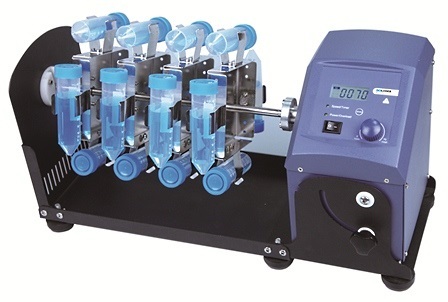 The Scilogex MX-RD-PRO LCD Digital Circular Tube Rotator and the Scilogex MX-RL-PRO LCD Digital Rotisserie Tube Rotator provide gentle and effective mixing of biological samples in 1.5 mL to 50 mL micro tubes. Compact design conserves bench top space. For a variety of laboratory applications such as immune precipitations, prevention of blood coagulation and latex diagnostics. 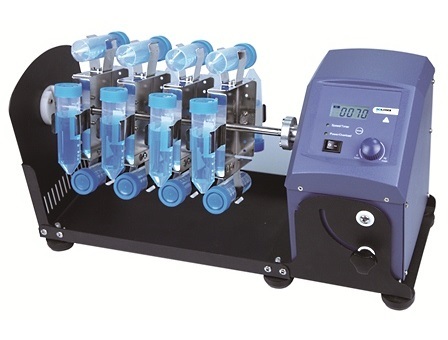 Suitable for use in a cold room or incubator. Electronic speed control to insure the same speed is maintained at all times, even during changes of load. 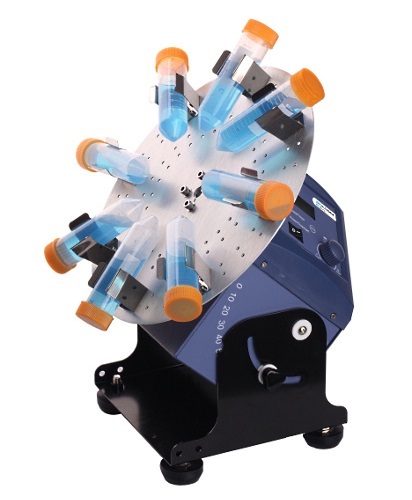 A variety of accessories are available to accommodate different tubes sizes. Both rotisserie and disk tube mixers have an adjustable speed range from 10 – 70 rpm and tilt angle can be adjusted from 0 to ninety degrees.